We at the American Heritage Center wish everyone a warm and happy Thanksgiving holiday. 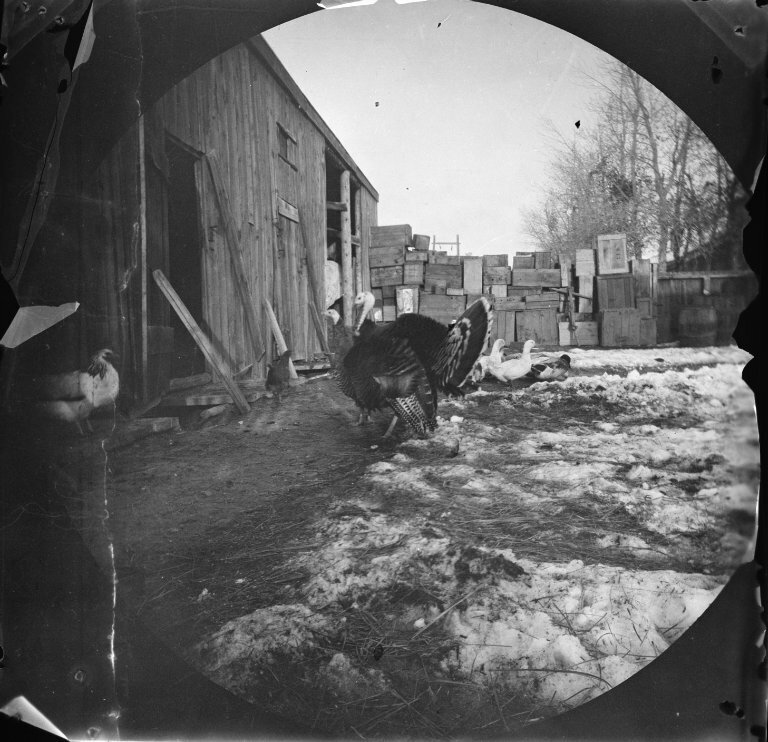 To celebrate, we would like to share some images of the turkeys and Thanksgiving scenes in our collection. However, in several of the photographs, the turkey has already been consumed. Or hurled from the roof of a building . . .
Sill Brothers Turkey Throw, Laramie, Wyoming, 1925. Look at the roofline to see members of the community preparing to toss turkey down on the very eager crowd. Ludwig Svenson Collection, negative number 12615.2. University of Wyoming, American Heritage Center. 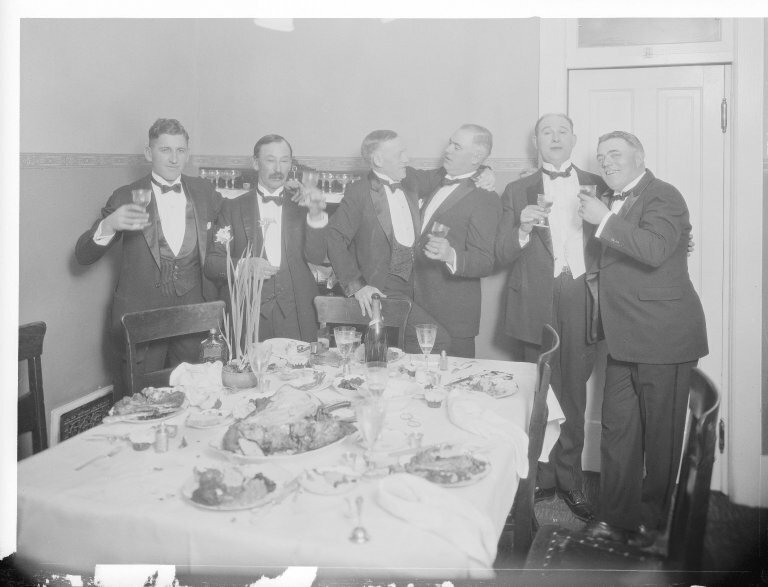 Will McMurray and friends toasting one another after a turkey dinner, 1940. Ludwig Svenson Collection, negative number 32517. University of Wyoming, American Heritage Center. 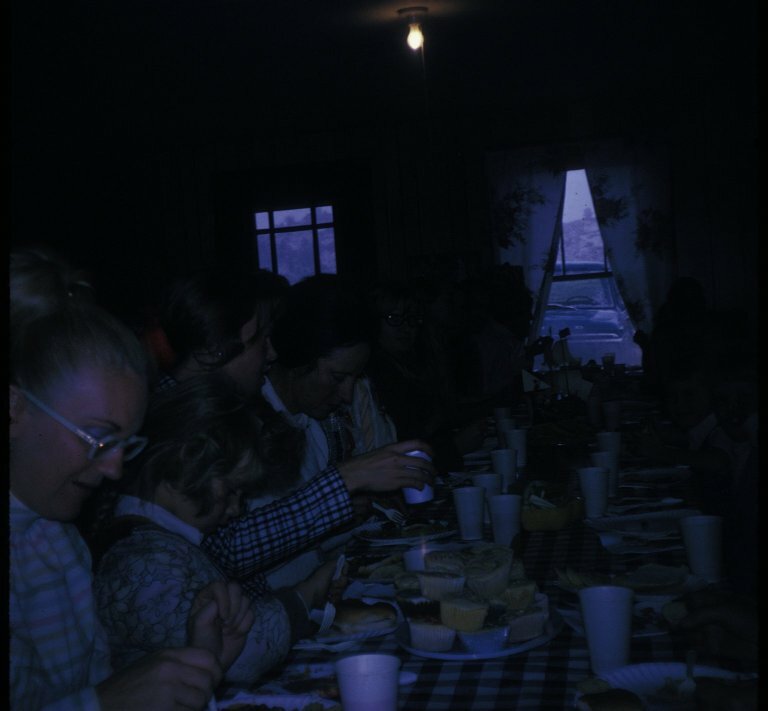 Rural Thanksgiving party, circa 1975. Paula Hogan Collection #11461. University of Wyoming, American Heritage Center. And here’s the traditional guest of honor at many Thanksgiving tables . . .
Turkey in a barnyard, with ducks and geese in the background. James K. Moore Family Papers, Accession Number 51, Box 22, 1319. University of Wyoming, American Heritage Center. The American Heritage Center will be closed on November 22nd and 23rd; we will reopen at 10am on November 26th. Happy Thanksgiving to all! 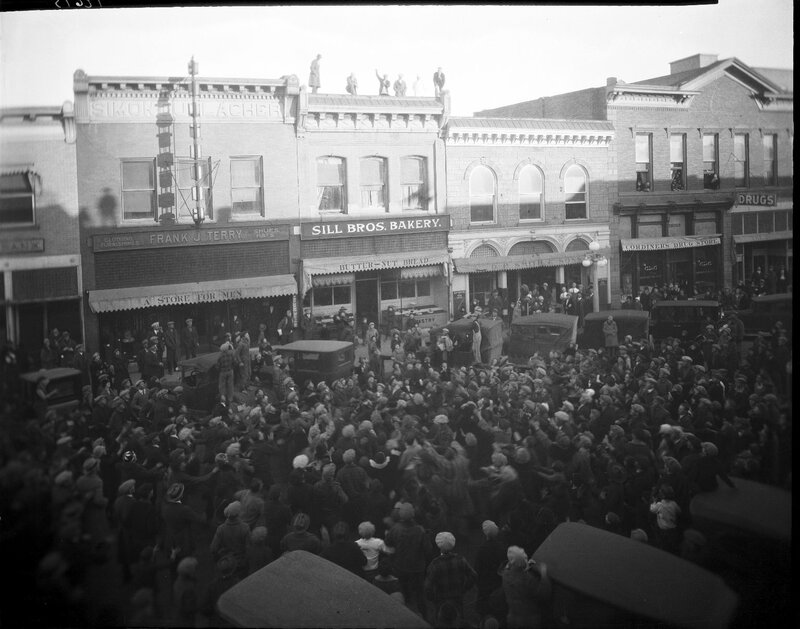 This entry was posted in Digital collections, Wyoming history. Bookmark the permalink.